When you’re searching for a luxury third-row SUV that offers plenty of performance and technology highlights, you can’t go wrong with the new Acura MDX. You can expect a 290-hp engine, available heated seats, and Siri Eyes Free with your compatible iPhone. 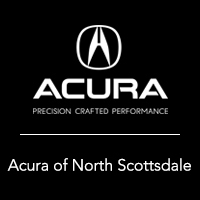 To further explore the MDX inventory at Acura North Scottsdale, contact us to set up a test drive today! Ready to further explore this family-friendly model? Check out its comfortable and high-tech interior. And, make your way to our Phoenix dealership to test out the MDX performance in person. Be sure to compare the MDX vs. RDX and MDX vs. Audi Q7, and see our used inventory if you’re looking for a pre-owned MDX!